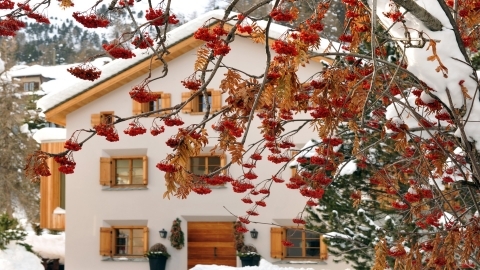 Our St.Moritz portfolio includes a range of luxury ski chalets which are not published. Please contact us for more details.St. Moritz is one of the world’s most famous holiday resorts. 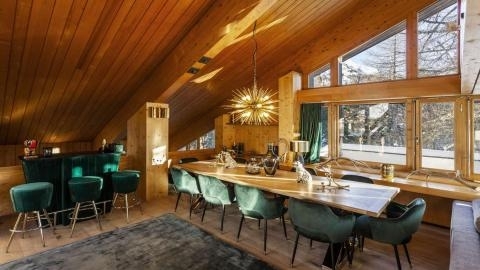 Chic, elegant and exclusive with a cosmopolitan ambiance, it is located at 1,856 metres above sea level in the middle of the Upper Engadin lake landscape. The dry, sparkling “champagne climate” is legendary and the celebrated St. Moritz sun shines for an average of 322 days a year. Feel the sun on your face and the powder under your feet the whole day long! For the region can lay claim to 350 km (217 miles) of ski pistes. Thanks to its altitude of between 1,800 and 3,303 metres (5,906−10,837 ft) above sea level, snow is guaranteed. The picturesque village, with its remarkable character and exquisite clientele, is the most exclusive resort for luxury winter holidays. St Moritz is all you expect and more! As an international symbol of quality, the name “St. Moritz” epitomizes style, elegance and class. Moreover, the highly modern ski lifts ensure a minimum of waiting time and a maximum of efficiency in a region that is renowned for its variety – after all, it was here that winter tourism was born almost 150 years ago. Carving paradises, freeride slopes, spacious nursery slopes and a glacier downhill run lure snow sport aficionados in every direction. When it comes to snow, Engadin St. Moritz has it all. Corviglia, Corvatsch and Diavolezza are synonymous for awe-inspiring experiences on skis. You’ll find almost everything in Switzerland’s largest snowsport region, from extensive, well-known areas with a wide range of offers to smaller, family-friendly, village skilifts. Not forgetting the numerous panorama restaurants, ski huts and snowbars, all bursting with ambiance and promising lively après-ski fun. Incidentally: St. Moritz has entered its candidacy to hold the 2017 FIS Alpine World Ski Championships. This would be the 5th time for the town to stage the World Championships after 1934, 1948, 1974 and 2003. St. Moritz, due to its favorable location, enjoys over 300 days of sunshine a year. Every winter this alpine village hosts the "White Turf" horse race on the frozen Lake St. Moritz attended by the international Upper class.